Atlantic, Gulf Pacific (AG&P), a global leader in gas logistics and construction services, has appointed Rachelle Goebel as Senior Vice President (SVP) to lead AG&P's major LNG projects across the Americas as well as global expansion of the company's gas engineering and project management services. Based in Houston, Texas, Goebel is responsible for major LNG projects already underway in the Americas and business development in the United States, Canada, Latin America, the Caribbean, Europe and Australia. She will also work with her global counterparts in Asia to identify new product offerings for entry into new markets. Rachelle Goebel joins AG&P to lead gas project development and business expansion in the Americas, Europe and Australia. Recently recognized as the World's Best Infrastructure Company for its innovation in the global energy sector, AG&P develops LNG infrastructure assets to serve the needs of power, bunkering, mining, transportation and industrial users in emerging markets that are not served by existing LNG pipeline networks. AG&P is combining its decades-long heritage in modular construction with its commercial and engineering expertise to develop standardized and scalable LNG solutions that drive down costs, speed delivery and make LNG affordable for a wider range of project owners and customers. Joseph Sigelman, Chief Executive Officer, AG&P Group, said, "I am thrilled to welcome Rachelle as a senior leader of AG&P. Rachelle brings a huge amount of energy and business acumen to her new role where she will develop a business covering the development of LNG facilities, stand-alone engineering services, modularization, field construction, commissioning, operations and maintenance services." 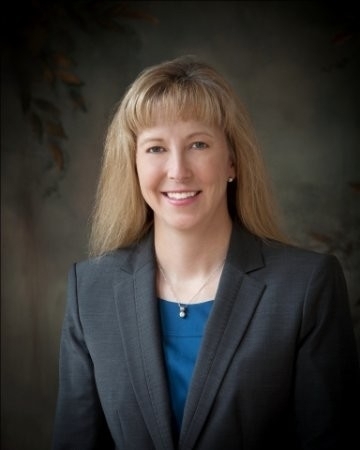 Prior to joining AG&P, Goebel was Vice President and General Manager for the Gas Processing and Hydrogen business at UOP/Honeywell, where she had P&L responsibility for the gas treating, NGL recovery and hydrogen business units. She also held senior sales leadership roles in both the Process Technology and Equipment and the Gas Processing and Hydrogen divisions. Prior to her roles at UOP/Honeywell, Goebel spent 14 years with Air Liquide in various leadership positions. "AG&P is a dynamic and innovative company that is changing the way LNG infrastructure is developed and natural gas is distributed in emerging markets around the world. I am excited to join such an entrepreneurial business and to lead AG&P's highly talented engineers to seize the immense opportunities in modular construction and in the burgeoning LNG industry," said Rachelle Goebel, SVP, AG&P.